Last edited by SpiritWind00; 02-07-19 at 02:42 PM. 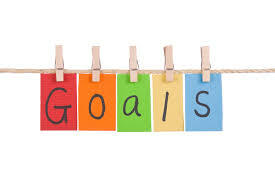 Special thanks to Stymie52 and gilachaya for posting goals in thread. 6: all of the Confectionary Construction side goals are just the materials you need to upgrade the Sweet Shop to the next level. 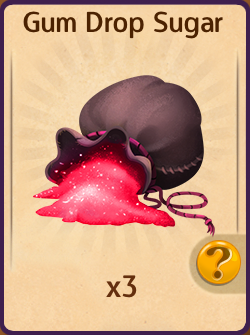 Whatever items you have in inventory counts towards the goal requirements. 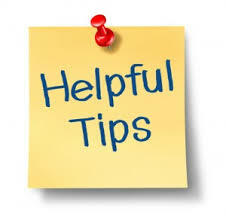 **Remember everyone when you close a chapter you may not be able to collect items so do as much as you can (like chopping the chocolate rocks mentioned above) before closing out the chapter. 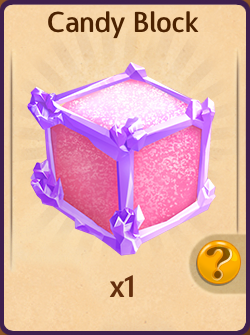 That way you can have lots of stuff ready for crafting or the next upgrade. 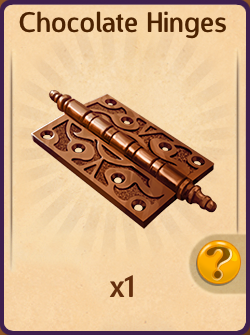 NOTE: LOWER LEVEL PLAYERS HAVE DIFFERENT UPGRADE REQUIREMENTS HERE AND IN GOAL. Chapter 1: Our story begins in the heart of our realm, with you, our clever and capable ruler at the helm. Sweet Sabina has a dream she's often dreamt about. We must do everything we can to help her out! Chapter 2: Sabina's been thinking and searching her heart. She's wanted to help out in the realm and do her part. Adventuring, crafting and fighting all felt like a blur. She knew there must be something that she would prefer. As she sat down to eat her most favorite treat, she was struck by an ideas that was truly sweet. 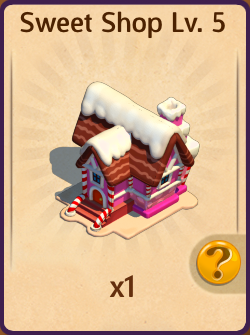 Chapter 3: A candy shoppe, that's it! She knew just what to do. She couldn't do it alone, and that where she came to you. 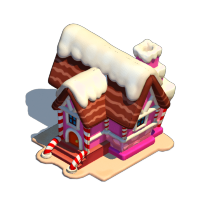 "I want to sell candies, goodies, and all kinds of snacks, I want an adorable storefront to stop villagers in their tracks!" "But I also want to sell treats of which they're unaware, I want to find far-away goodies and foreign treats to share!" Is there anywhere else you might be able to go, and bring me back something yummy to show?" 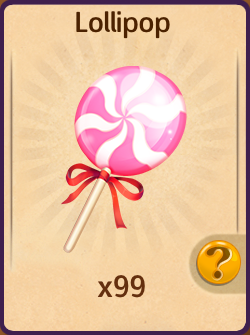 Goal 3 Travel to the Candy Forest 0/3 | Castle Adventure, 2 hours - 1 pink sugar, 5 water, 5 roast chicken | reward from goal: 2x Lollipop sapling for completing this goal. 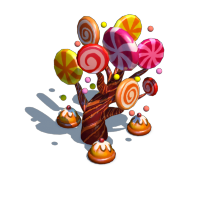 | The Lollipop sapling is now available in the market for 50 gems. 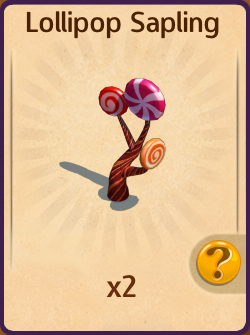 Goal 4 Tend lollipop trees 0/10 | water ever 10 minutes. They will turn to trees in a later goal. Chapter 4: Sabina was so thrilled with the haul from our trip, she was immediately inspired by our awesome sugar whips. 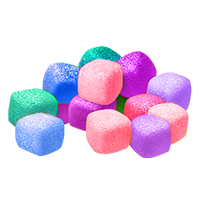 "A poofy candy like this will be sure to delight, and eat these candy rocks takes a lot of might!" But Sabina began to grow worried, her face turned to a frown. As rule, you must try to figure out what's got her down. Goal 2 Tend cotton candy shrubs 0/8 | Drops: Sugar Puffs | 2 hour collection timer | The Cotton Candy Shrub is now available in the market for 100 gems. 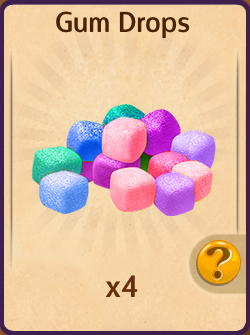 Chapter 5: Word had begun to spread of our new sweet attraction, and Sabina was inundated with tons of transactions. "I'll need more space, I'm running out of room!" but the ruler was still concerned about Sabina and her gloom. With plenty of supplies, she had a moment to pause and confess, Sabina explained to the ruler she had a worry about her new business. 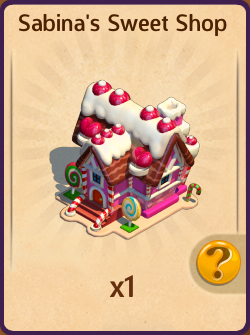 Goal 2 Ask neighbors for candy coupons 0/15 | check your inventory to see responses and if not showing on the goal screen, force close your game. 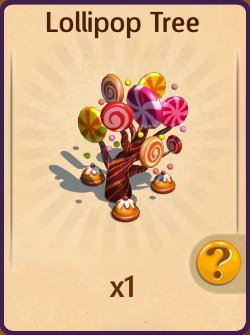 Goal 4 Tend Lollipop trees | Note: you need to UPGRADE the tree with 5 sugar - not water it. | The timer stays at 10 minutes once grown. Chapter 6: Sabina had all kinds of ideas for sweets galore, but a worry in her heart made her fear making more. Sabina knew just how to run her perfect shop, but something bothering her almost made her stop. You see, Thurston, the brave knight who protected our land, had a problem with candy that quite out of hand. 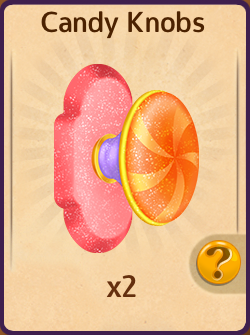 Chapter 7: Thurston was a respected knight, courageous and noble, but candy was enough o make him nearly immobile. Toothaches and tummyaches were a regular occurrence. Sabina was hoping to find some sort of assurance. "Please distract Thurston with other tasks," Sabina begged the wise ruler, "He'll eat all my candy, but telling him to stop would be crueler." 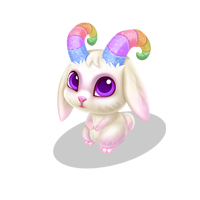 Goal 2 Travel to the Candy Forest 0/1 | reward from goal: 2x Gum Drop Shrubs | The Gum Drop Shrub is now available in the market for 250 gems. Chapter 8: To the Tavern the ruler went, with brave knight Thurston in tow. Surely there must be something to distract him within a stones throw, a beastie or a villain needing to be battled back. But today there was no sign of any such attack. The ruler's mind spun, they needed a new excuse. There was now way they could let Thurston cut loose. Chapter 9: To keep a Glimmerwoods Knight distracted is no easy feat. It wasn't long before all the asks of Thurston were complete. The ruler tried their hardest but Thurston began to suspect, when the Ruler had him go to other Kingdoms on a random project. "Is there something you are keeping from me, my liege?" "I fear for the realm. Are we under siege?" Chapter 10: The ruler had no choice but to return to sabina without joy, telling her that we could not keep up the ploy. But Sabina had good news to deliver of her own. With Ivy's help, a sugar free recipe had become known. 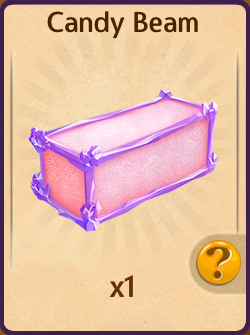 It was a perfect ending for our princess fair, she'd found a place where she could truly share no matter the restrictions, no matter what foresall, Sabina's Sweet Shoppe was able to serve all. 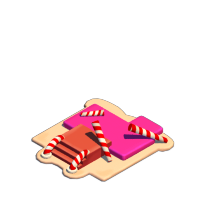 * Tame a Candy Ram 0/1 | Workshop, 5 minutes - 40 pink sugar | Note: you can make more than 1 if you want to. Last edited by SpiritWind00; 02-16-19 at 06:29 PM. 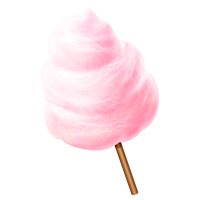 Info: A little puff Tuftkin that smells like spun sugar. 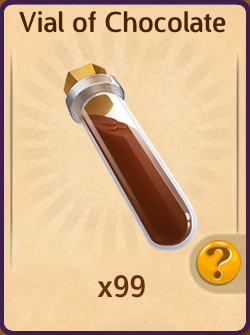 Has a chance to drop energy! Last edited by SpiritWind00; 03-03-19 at 03:21 PM. 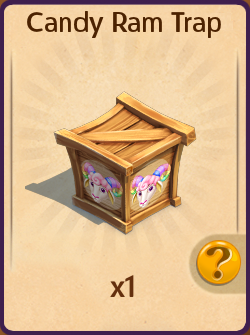 Little energy, but a lot of patience for this event. 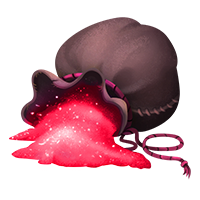 Info: A thick glue that's also delicious! 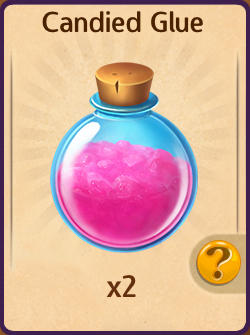 Prepared in the Potion Shop. 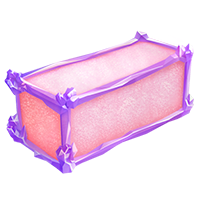 Info: A sticky sweet building material that doubles as a confection. Prepared in the Workshop. 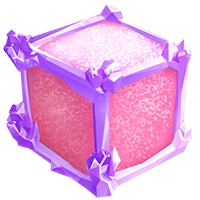 Info: A candy covered building block. Prepared in the Workshop. 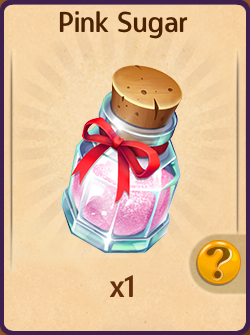 Info: A coupon for Sabina's Sweet Shop. Found by asking neighbors. 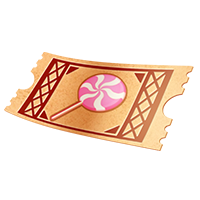 Info: A hard candy opener for the shop. Prepared in the Magic Forge. 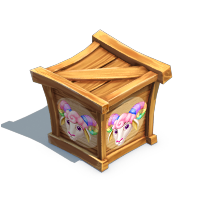 Info: A tamed ram that just wants to ear candy! Pet it to see what it found for you. 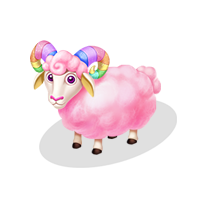 Info: Chop to lure a Candy Ram! Info: A little puff Tufkin that smells like spun sugar. 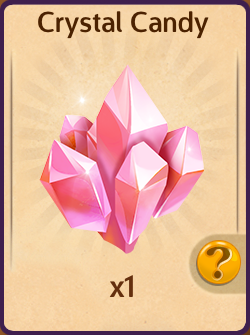 Has a chance to drop energy! 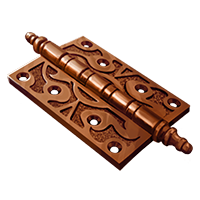 Info: A sturdy chocolate hinge. Prepared in the Magic Forge. 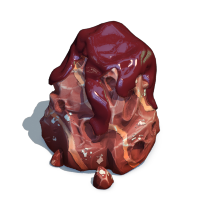 Info: A tasty nugget of chocolate goodness. 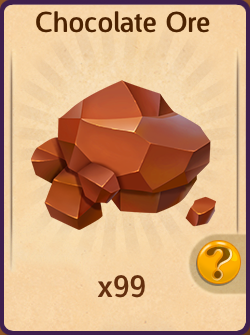 Found from clearing Chocolate Rocks. 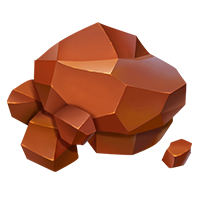 Info: A hard chocolate chunk. 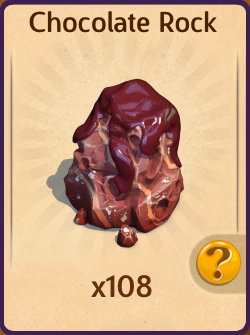 Chop it for Chocolate Ore.
Info: A poofy bush that drops Sugar Puffs. 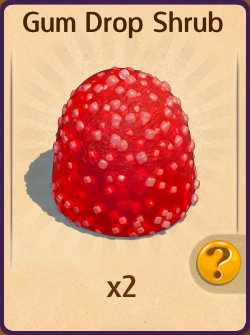 Found by traveling to the Candy Forest. 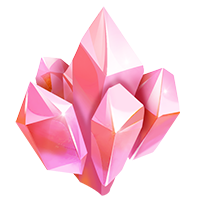 Info: A hard candy that glitters like diamonds. Found from tending Lollipop Trees. 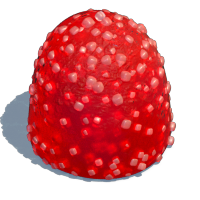 Info: A small shrub that grows chewy and drops Gumdrops and Gumdrop sugar. Found by traveling to the Candy Forest after Chapter 7 Goal 2. 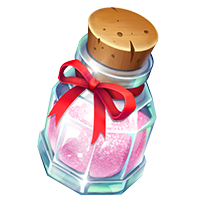 Info: A delicate candy coating that looks like a powdery dust. Collected from Gum Drop Shrubs. Info: A tasty morsel of sticky sugar dusted in candy powder. Found by tending Gum Drop Shrubs. 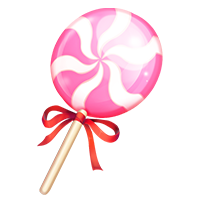 Info: A perfectly likable Lolli. Found by tending Lollipop Trees. 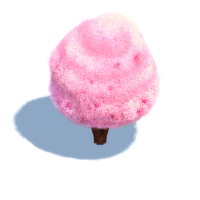 Info: A sugary sweet sapling that drops Lollipops. 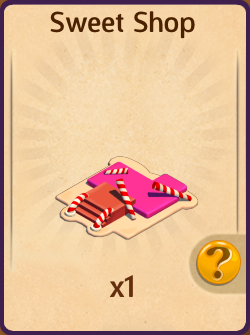 Found by traveling to the Candy Forest. 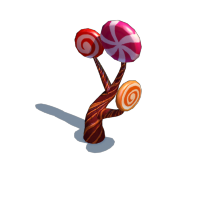 Info: A treat of a tree that drops Lollipops and Crystal Candy. 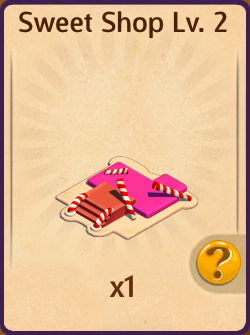 Found by traveling to the Candy Forest. 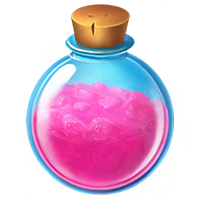 Info: A delicate powdered candy. 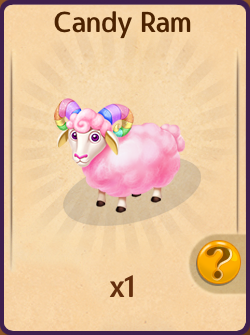 Found from battling Candy Rams. 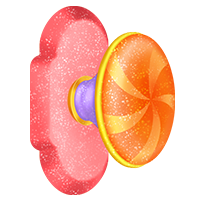 Info: A poofy puff of candy. 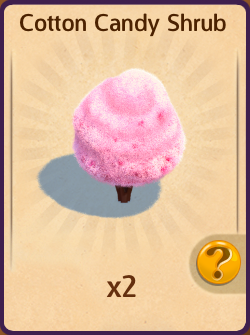 Found from tending Cotton Candy Shrubs. Info: The foundation to a sweet retreat! 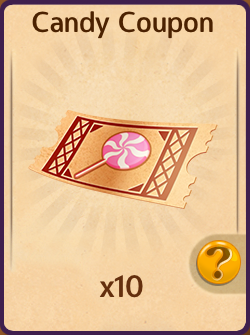 At level 10, has a chance to drop Ice Cream, Sweet Feast, and Royal Sundae! 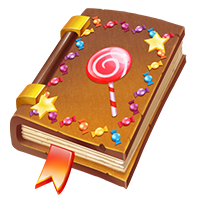 Info: A marvelously magical and delicious candy shop, with shelves filled to the brim with candy. 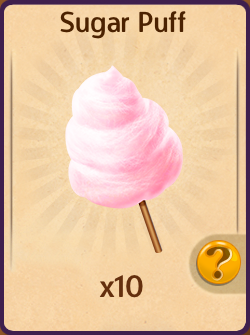 Has a chance to drop Ice Cream, Sweet Feasts and more! 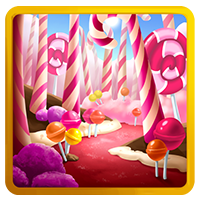 Info: Travel deep into the Candy Forest! 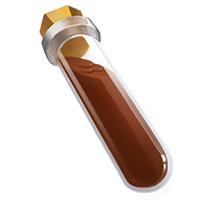 Info: A delicious liquid chocolate in a glass vial. Found from the Rustic Well. Info: A sweet ram that just wants to eat sorbet! Pet it to see what it found for you. Last edited by ShibuyaCloth; 02-21-19 at 10:19 PM. Oh good. Chapter thing. Gives me a couple of weeks off. Last edited by alexabela22; 02-07-19 at 11:37 AM. Swampy Pond and Faerie Ponds both count towards the 15 total. Last edited by tigarlilyvol; 02-07-19 at 11:33 AM.